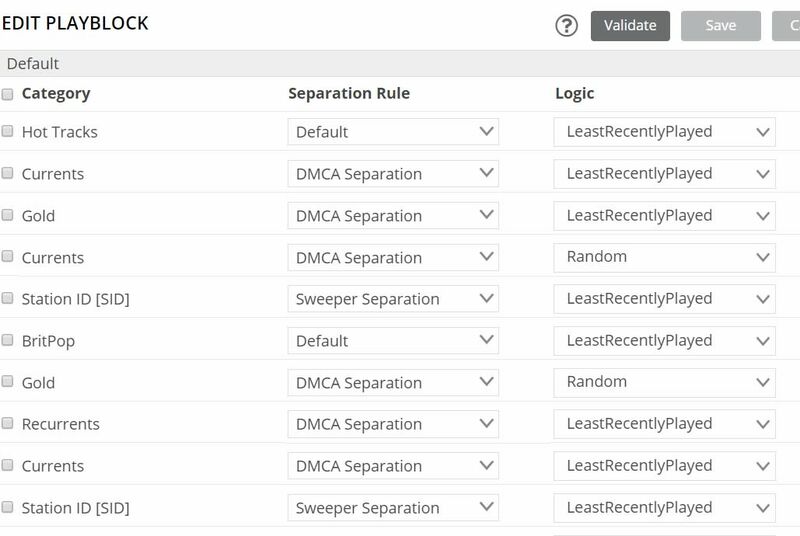 An option that would allow you to select rotation logic for the playlist. Specifically by "Least recently played". in conjunction with the ability to adjust separation rules on a category basis. Separation: Heavy Rotation (i.e. : Album Separation 1hr, Artist Separation 1 hr, Title Separation 1 hr, Track separation 1 hr. This is basically the same principle as most playout software. While a tad more complicated to implement, if this could be done, many broadcasters would drop software/dedicated computer options for this. I know I would ;) MORE CONTROL!